Spread of Tropical Vector borne (insects) diseases in the Gulf Coast US + a little accident at the CDC. The spread of tropical diseases in the US is increasing…much has to do with increasing poverty in the US…especially gulf coast region. The region has never fully recovered from numerous tropical systems nor the impact of the massive Deep Water Horizon spill. Mitigation of vector borne diseases cannot be emphasized enough, and many times go relatively ignored by the prepper. Headnets and bug spray are a good start, but also clothing spray such as Permethrin and bed netting need to be added (even inside the shelter). Caution when entering and leaving shelter needs to be taken to limit the intrusion of insects. You should sweep yourself off a few meters from shelter to dislodge mosquitoes and flies, then move quickly to enter shelter securing insect shield quickly (ex. if you have a screened porch…have a hand broom set a few meters away..brush self..move quickly to get into screened porch. Clothing should be stripped off in the outer room (screened porch) and body inspected for ectoparasites as well as clothing. This helps dramatically limit the exposure to others inside shelter. If you do not have a screened porch, there are several ways to make a little set up just off your entryway that allows this to happen. Think of this area similar to an airlock on a spaceship or sub. Please remember pet owners to do the same procedure for pets entering and leaving (check the underside). As many as 75 scientists working in government laboratories may have been exposed to live anthrax bacteria, the Centers for Disease Control and Prevention said on Thursday. The scientists are being offered treatment to prevent infection. Strategic Terrorism…or how to scare the crap out of people. Nathan Mhyrvold is the former Chief Technology Officer for Microsoft and founder of Intellectual Ventures. To put it mildly, he is a fairly smart guy. Mr. Mhyrvold decided to publish a ‘little’ research paper titled Strategic Terrorism A Call to Action. This paper warns that the potential for a massive human induced loss of life several million to potential extinction is much easier than people tend to think. It is a long read, but I think Mr. Mhyrvold lays out his argument well. Technology contains no inherent moral directive—it empowers people, whatever their intent, good or evil. This fact, of course, has always been true: when bronze implements supplanted those made of stone, the ancient world got swords and battle-axes as well as scythes and awls. every technology has violent applications because that is one of the first things we humans ask of our tools. The novelty of our present situation is that modern technology can provide small groups of people with much greater lethality than ever before. We now have to worry that private parties might gain access to weapons that are as destructive as—or possibly even more destructive than—those held by any nation-state. a handful of people, perhaps even a single individual, now have the ability to kill millions or even billions. indeed, it is perfectly feasible, from a technological standpoint, to kill every man, woman, and child on earth. The gravity of the situation is so extreme that getting the concept across without seeming silly or alarmist is challenging. Just thinking about the subject with any degree of seriousness numbs the mind. Worries about the future of the human race are hardly novel. indeed, the notion that terrorists or others might use weapons of mass destruction is so commonplace as to be almost passé. spy novels, movies, and television dramas explore this plot frequently. We have become desensitized to this entire genre, in part because James Bond always manages to save the world in the end. UPDATE: At plus 6 days, conditions for many seem to be rapidly deteriorating. For all intents and purposes, Sandy was not a strong storm. It did coincide with high tide and tight pressure gradient resulting in a large storm surge and flooding of coastal communities, but winds were well under 100mph, and dropped quickly as it moved inland. Flooding resulted in a domino effect cutting off supply lines (roads) and rail lines as well as public services….this is the weakness in a high population density area. A category 2 storm would have been catastrophic. 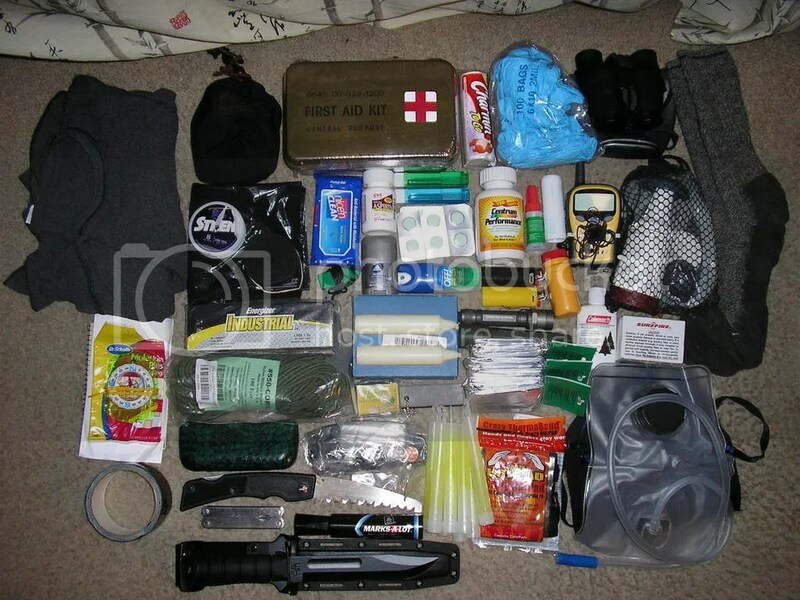 Most preppers have beyond the FEMA recommended 72hr kit. Hurricane Katrina and now Hurricane Sandy have shown, even 72hrs isn’t enough. The video interview shows how easily the system (food and services) collapsed and how few people even had a 72hr kit. Finding a roof over one’s head was not difficult, but beyond that no food, water, heat or sanitation. I suspect this will be the case for another week. As of today it is +100 hrs since Sandy made landfall. A 1 week kit is looking a bit more reasonable as well as contingency for sanitation. Unfortunately, having a kit doesn’t mean one knows how to use it. I heard a radio interview with an individual in NY after Sandy hit..he said he had a 72 hr kit, but ‘wasn’t even sure what to do with the flashlight’ much less anything else. This is someone who’s brain has gone into panic mode, and is unable to think beyond operating his cell phone. Why?….because he uses his cellphone everyday…its second nature. This raises the point of not just having but knowing. 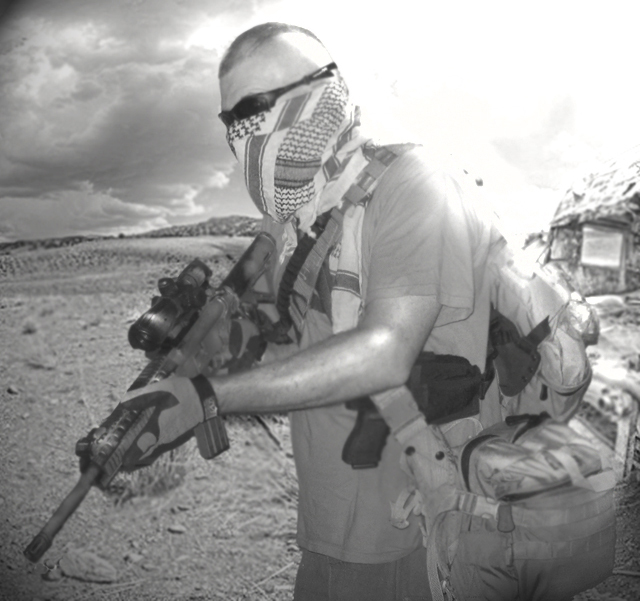 Having a tacticool BOB/GHB or disaster bag/box is one thing…knowing how to use everything in it is another. Confidence in the equipment is another important aspect. Do the items actually do what they are supposed to? Everything is brand new, some still wrapped in plastic (ex. first aid kit). This is someone that has gear, but has no idea if it will work when needed. Every tool should be used at least 4-5 time to familiarize yourself. First Aid kits checked to ensure all items are not expired, punctured, and where different parts are. Water containers should be checked for leaks. Fire starters…does it work as advertised? How about when wet? Can the knife be used as a prybar or does that exceed it’s capabilities? These are just a few of the things one should consider. Pack your kit logically. You don’t want your First Aid Kit in the bottom where you can’t get to it quickly. Tools, flashlights need to be easily accessible, etc.. Pack and unpack your gear a few times. Then do it in the dark. Make sure items can do what you expect them to do. Know your gear and how to use everything in it! To prepare, people should start simple and address the most common or obvious disaster that might occur in their area. Is it snowstorms, floods, hurricane, wildfire? You need to decide how to minimize impact of the disaster, then how to survive the post event until things return to ‘normal’. I’ll not get into the debate of bugging out (leaving home) vs bugging in (staying put). Every situation is different and the type of event will obviously dictate. Just remember, when an event occurs with little warning (few days or less), everyone will be on the road at once. Vehicles can only carry so much, dependent on fuel, condition, and how clear roads are (they wont be). Make a list of potential threats from most likely to least, how long the event will occur and how long recovery might be. Take flooding for example. Fairly localized (few counties), concentrated damage, short term duration of the actual event, with days to months recovery time for most. Number impacted from few to 1000. Outside help arrives from hours to days. One person’s story of natural disaster giving her a quick view of impacts (and shortfalls in her plan) can be found HERE. Short term events (few days to few weeks), with water, shelter, food, sanitation, medical, security needs for a few days. In my area storms and hurricanes top the list causing power outages and temporary run on food, water and fuel. Duration of the event itself is usually less than 24 hrs, recovery (depending on strength of storm) can be days to weeks. Assistance arrives within a day or 3. Severe storms such as Katrina impacted several states, and wiped out lives, homes and businesses, but remained confined to the coast. Due to local to federal as well as individual lack of preparedness, the resulting impact of the storm was substantially worse than it should have been. Regardless, recovery operations began within a few days…though note…several areas of N.O. still remain unoccupied and in ruins. This is the drawback of living in a high risk area (below sea level)…thus plan accordingly. This is the easiest level to prepare for and should be where most start. I think the FEMA plan of 72 hrs worth of supplies falls short of what individuals/families need. The list of supplies they have is a good starting point, and includes many items that people tend to forget (ex, important documents, feminine hygiene products, etc), BUT planning for a week minimum and working to extend out to 3 weeks is what people should be thinking. Duration of the actual event may be moments to a year. Effects numerous states, regions to entire country (ies). Length of impact 1 to 4 yrs with gradual recovery. This is something from a tsunami and resulting associated mini disasters, (ex Fukushima Nuclear plant meltdown post tsunami), to disease pandemic with medium infection (R nought 5-7) and death rate of ~10-20%, to a depression. For my thinking, this most likely would be some sort of economic event(s) with a 50% chance of occurring in the next 1-4 yrs. The economy doesn’t quite collapse, but goes into a deep recession or depression. This will result in those in bad financial shape from the recent recession to get even worse. Desperation abounds, and riots, crime and so forth will explode in some areas typically concentrated in high poverty/ population areas, not so much in others, but increase none the less. With 63 million people in the US already at or below 125% of Federal poverty level, and the employment participation rate degrading, this may be a forgone conclusion. Most likely governments will abandon certain areas and focus on keeping other areas secure/supplied at some level. Martial law is a possibility. The elderly and the very young will be at high risk for adverse impacts. This level is substantially more difficult and expensive to prepare for. Location and plans need to be very carefully thought out before supplies are purchased (a decent list to start thinking about). The nice thing is, typically expansion of level 1 preparations will take care of many problems, but more consideration for medical, sanitation, long term water supplies and higher level of security mentality need to take place. Items we take for granted, fruits, veggies, dairy may be in sporadic supply, and/or extremely expensive. 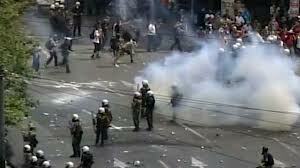 Fire suppression and police services may be spotty at best. Common medications may also be in short supply a well as simple things such as soap and TP. Fuel costs will spike (making prices of everything else rise). Being able to grow foods locally will provide some relief. Brown outs to blackouts may be common. Barter system comes into play (a great discussion on what to barter can be found HERE). Recovery will depend on how well local governments and even neighborhoods can respond and remain cohesive. The federal government will have it’s hands full trying to deal with large metro areas and keeping major infrastructure systems at some level of functioning. Long term both in the event itself and the impact (+2yrs)…economic/governmental collapse, WW3 (involving nuclear exchange), global natural disaster/disease outbreak with high infection (R nought +17) and death rate (+30%). This is basically TEOTWAWKI, but also probably the lowest chance of occurring…at the moment. 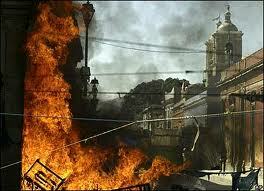 Food, fuel runs out, electricity and municipal sewer/water shut down, medical, fire and law enforcement services cease. The obvious follows. We would all like to think we are ready for this one, but I suspect very few (myself included) are. Some communities will collapse and others may get their act together. This literally will come down to how well people can work together to survive. Planning for this builds on level 2 preps, but requires thought in long term food production, large water supplies, long term sanitation, alternative energy and fuel (mostly for cooking and heat). Security becomes a major issue as well as medical. The common cold, a small cut or dental issue can kill. Sanitation will be paramount in preventing the rapid spread of infectious disease (Malaria, Cholera, etc.). The ability to grow decent size food supply without the aid of pesticides/fungicides and a consistent water supply will become a major challenge. The first year or 2 will be brutal, followed by a slow organization to new ‘normalcy’…in some areas. If one is able to survive out past 3 yrs…most likely you will make it for the long haul. If this is your number one scenario, then I recommend you buy, and move to that remote, fully stocked retreat in the mountains of (insert location here) with 20 of your closest family/friends. I say this because, unless you are there when the SHTF, you wont make it. Fuel will run out with in a day and the roads will be clogged and impassable. 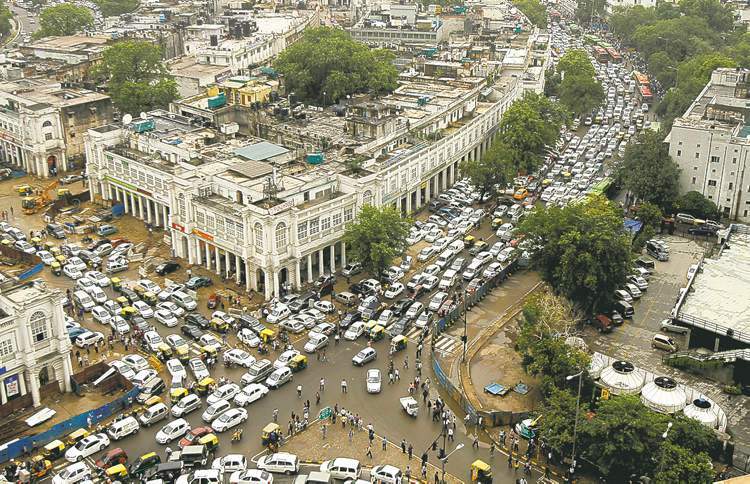 A great example was recently India’s power grid failure which shutdown all modes (except foot and bike) of transportation….and that was a mere 8 hr shutdown. This gives those of us in urban/suburban locations a brief glimpse of total collapse without warning. Ultimately this scenario will come down to how well humanity handles itself. Typically we see the best and the worst when the chips are down….lets hope the best prevails. Preparation for this requires years and a substantial investment. Lets hope we never reach this. One of my favorite movies is Zombieland. If you haven’t seen it, the main character has a series of rules for survival in the new zombie infested environment. His number one rule is ‘cardio’, basically the ability to out run the zombies. Though the movie is quite humorous, and pokes great fun at the zombie post apocalyptic world, it does have nuggets of good advice, this is one of them. Being in good physical condition is essential on many levels, from maintaining good health and longevity, to being able to survive a disaster situation. What got me thinking about this was Issue #4 of Survivalist magazine which had an article by Jim Mahan titled “Fitness for When SHTF”. Jim goes through and lays out a suggested routine with numerous pictures on the techniques. The exercises are excellent, but something caught my eye and my gray matter had an ‘ah ha!’ moment. When we workout, go to the gym, what have you, we typically don our shorts, t-shirt, sneakers… basically our workout gear. Is this what we will wear when we are actually in a SHTF situation? Probably (hopefully) not. Additionally, when at the gym, we lift weights for strength, or use something more dynamic like a medicine ball or sand bag. This is all well and good in maintaining physical fitness, but is this what we will be carrying with us during the SHTF situation? Definitely not. Thus, we need to rethink how we strength train…or at the very least, insert some modifications…we need to train/workout like we will be in the SHTF situation. Develop a workout that involves your gear and the clothes we are going to wear, at least once a week. This will get you used to moving with your gear. 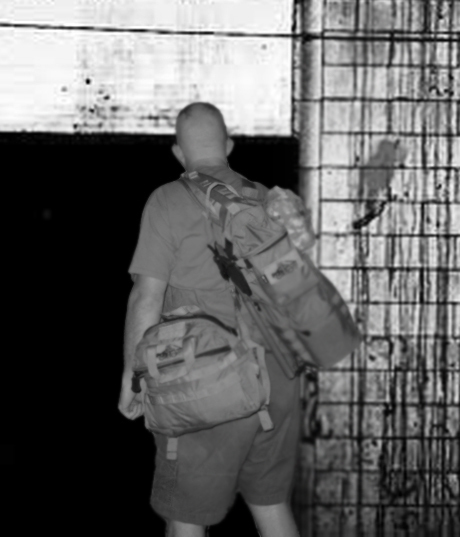 Instead of lifting a sand bag, lift a fully loaded BOB (Bug Out Bag). Instead of jogging with nothing more than maybe a water bottle, jog with your GHB (Get Home Bag), or walking/hiking with your BOB. Though most cannot workout with our PPT (Personal Protective Tool) in plain view of the public without causing panic, it can be simulated with something less threatening of similar weight. Pushups, squats, turn and lunge, etc. with gear on is a whole different bowl of wax. Why do these? Because when the SHTF you will not just be walking with gear on down a nice little path. You will have to move quickly, quietly, duck, roll, dive, get up, get back down, get through doorways, up stairs, move through heavy brush, cross water…the list goes on. You can develop all kinds of different scenarios to mix up the routine and keep it interesting. If you work in a suit/tie/dress environment, I assume you have a change of clothes in your GHB. Practice quickly transitioning from the nice clothes to the get home clothes quickly, maybe in a dark place of cover an concealment, then gear up and start the workout. It’s fun, and you quickly learn what you can do and what you need to work on. Check out your route home or to your BOL (Bug Out Location). What obstacles if on foot with gear on will you have to traverse? This is your gym (or find a place similar). Also take a look at your gear…do you stick out like a tacticool sore thumb if you have to go through high populated areas? Maybe get a cover for your bag so it looks a little less threatening. How comfortable is your gear while working out? Do parts get easily snagged? Make too much noise? Too heavy? Thinks fall off easily, or even come flying around and whack you in the head? These are all things you will only discover when going through a more adverse movement and environment other than just walking down the street or a path. Practicing what we are actually going to do leads to survivability. Be smart and stay safe. West Nile and other mosquito vector borne diseases. 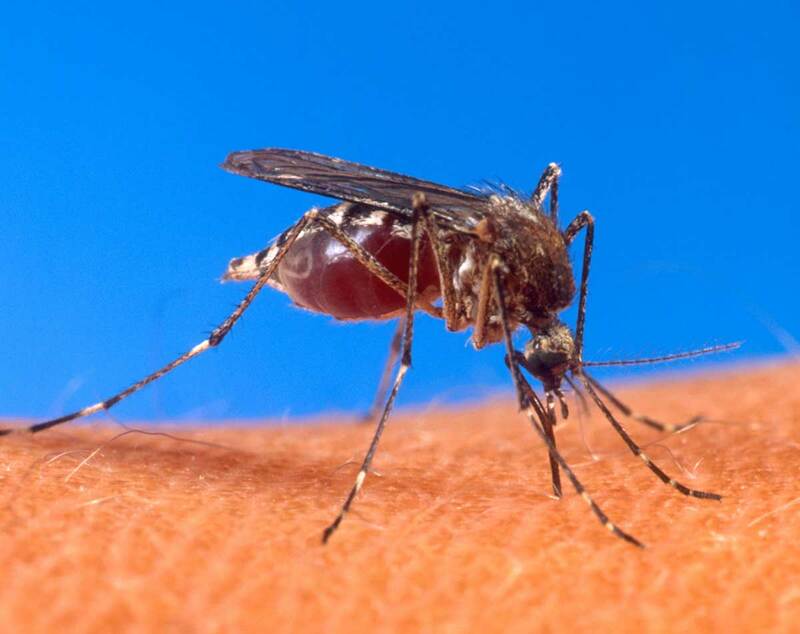 Recently Texas has been in the news due to an outbreak of West Nile virus in the Dallas area. Probably one of the most underutilized (perhaps under appreciated) government scientific agencies for biological work is the USGS. For mosquito borne diseases, USGS (with the CDC) has a great site called Disease Maps. These maps track the mosquito (arbo-vector) borne diseases West Nile Virus, St Loius Encephalitis, Eastern and Western Equine Encephalitis, LaCrosse Encephalitis, Powassan Virus (tick borne), and Dengue Fever in the US via several factors. Not just human cases, but also animal, mosquito (caught in flight traps) and sentinel sites ( usually a chicken in a cage in a high mosquito area near human populations). The maps are broken down by state and then county. This gives a rather good picture to see if a certain disease is in your area and the level of protection one should consider (certainly ticks, parasites, etc. should always be a consideration when outside). 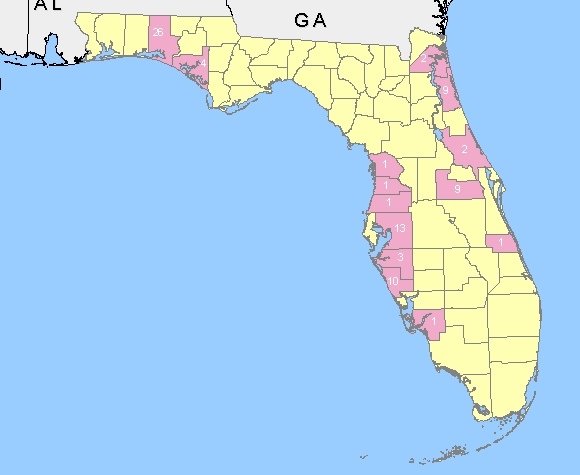 Below is a map of Florida showing the sentinel site detection for West Nile Virus in the different counties. Though several sentinel sites have detected the virus, the only human cases have been in Duval county. Conversely, in Texas, the sentinel sites have been quiet, but human cases quite high. This shows that one should check all aspects (human, sentinel, mosquito, etc.) to get a clear picture. The discrepancy may be due to several factors (not a large enough trap/sentinel site network, human error, etc.). Knowledge is power, checking as many different sources/means as possible tends to yield a more clear picture. Take appropriate measures to ensure you are well protected while out and about. More on arboviruses go to the CDC Arbo website. 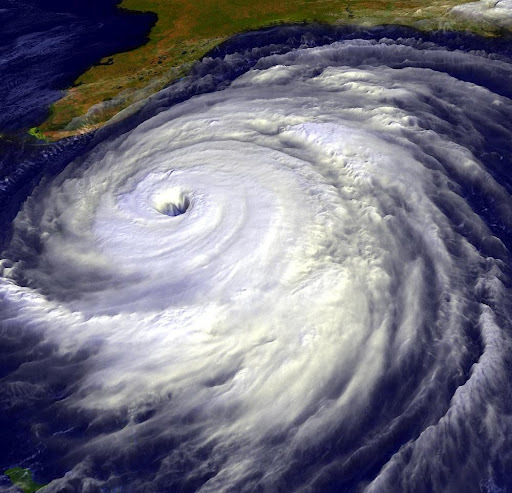 Today marks the beginning of Hurricane Preparedness Week. It is quite timely since, presently, ~165 miles east of me is STS Beryl, the second named storm of the season (which doesn’t really start until June 1). The supplies kit and preps listed on the NHC site is really the bare minimum but a start. This week marks a good time to check your existing preps, or if new at the whole thing, it’s time to start.